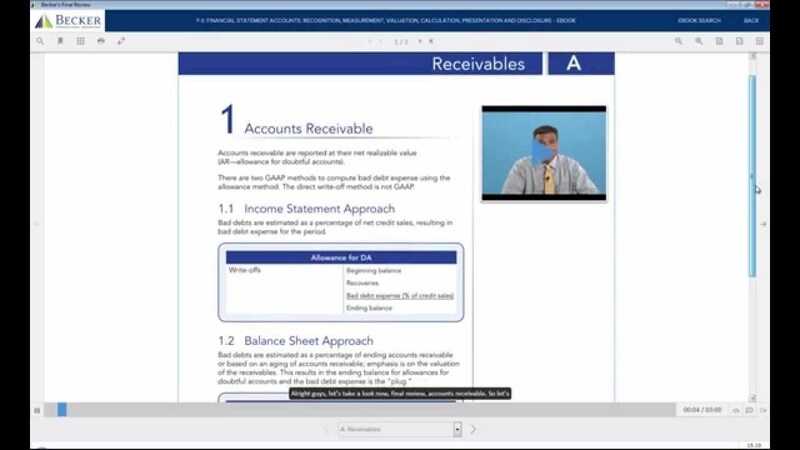 Becker CPA Final Review Course Demo: Financial 2A: Final review is a condensed review that reinforces your understanding of the most heavily tested concepts on the CPA Exam. It's designed to help you focus your study time during those final days between your Becker CPA Exam Review course and your exam date. Learn more: http://bit.ly/2pwLaX6.